Did you catch yesterday’s “Presents With Police”? 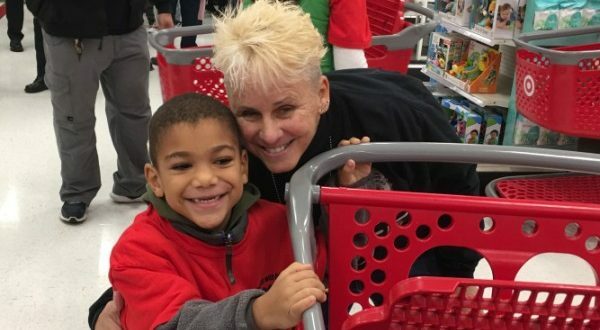 One resident went to Target unaware of the event and was moved to tears by the experience she walked into. ‎”I was at Target in Dartmouth this morning and there was a ton of New Bedford police shopping with kids! They were buying them gifts and pushing the carriage as each one picked out toys. Also, they are giving these children a chance to have a special Christmas that they may not have had if it wasn’t for them. As I was going down a toy aisle I noticed a little girl around 8 years old with an officer looking at toys she may want and I heard her say ‘I miss my bed, now all I have is a couch.’ I started to cry and had to walk away. Thank you New Bedford Police Department for what you did today for these children! You’re the best!” – Diane Methia.